What Is a Go and Glow Facial at ReFresh? 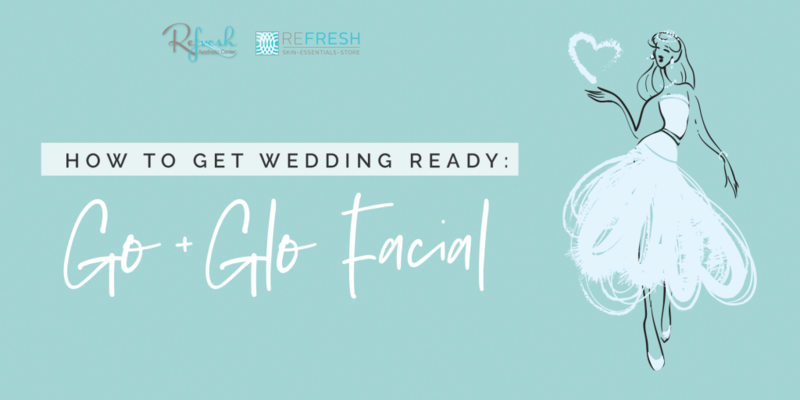 The Go and Glow facial is one of our favorites here at ReFresh Aesthetic Center because its name truly lives up to its reputation. This facial uses the Oxy Trio from PCA, which has been one of the company’s most trustworthy product trios for over a decade. This is the perfect facial before an event or between peels because it promotes skin healing, hydration and prevents free radical damage associated with aging, allowing you to look rosy and glowing for special occasions. Antioxidant Therapy: You’ve heard us talk about the importance of antioxidants before, and this facial is no different. Antioxidants correct and prevent free radical damage, which is a huge contributing factor to aging. Detoxifies the skin: This can help bring out bacteria in the skin and promote healing. Reduces inflammation: With the three-step process, we are reducing inflammation and redness in your skin while simultaneously hydrating it at the same time; a win/win! Stimulates oxygenation and circulation: The Go and Glow facial is a three-step process that promotes healthy skin by stimulating oxygenation and circulation through both the product and massage techniques on the face. It draws oxygen and blood to the surface of the skin, leaving a beautiful, rosy tint and a warm feeling on your face. This is the exact “healthy glow” look we go for in our skincare. We advise that you don’t apply makeup for the rest of the day, if possible, so that the products can sink into the skin and help illuminate going forward. The radiant glow to your skin comes from low percentages of Lactic, Glycolic, and Salicylic Acids. The amount of these acids is low enough that sensitive skin should react well, but always consult your esthetician before you start. Your skin will be brighter, tighter and illuminated from hydration for up to 10 days post-treatment with some results that last even longer! If you’re looking to amp up your skincare game for a special occasion, or daily life; this non-invasive, youthful procedure is the perfect add on. Relax and watch stress fade away as you embrace your new skin.